It’s another Grainline pattern to add to the Scout Tee versions one, two and three and the Alder shirt dress versions one and two. I’m adding a Talvikki/Linden mash-up in a gorgeous French Terry and an Archer popover variation in double gauze to the list too. 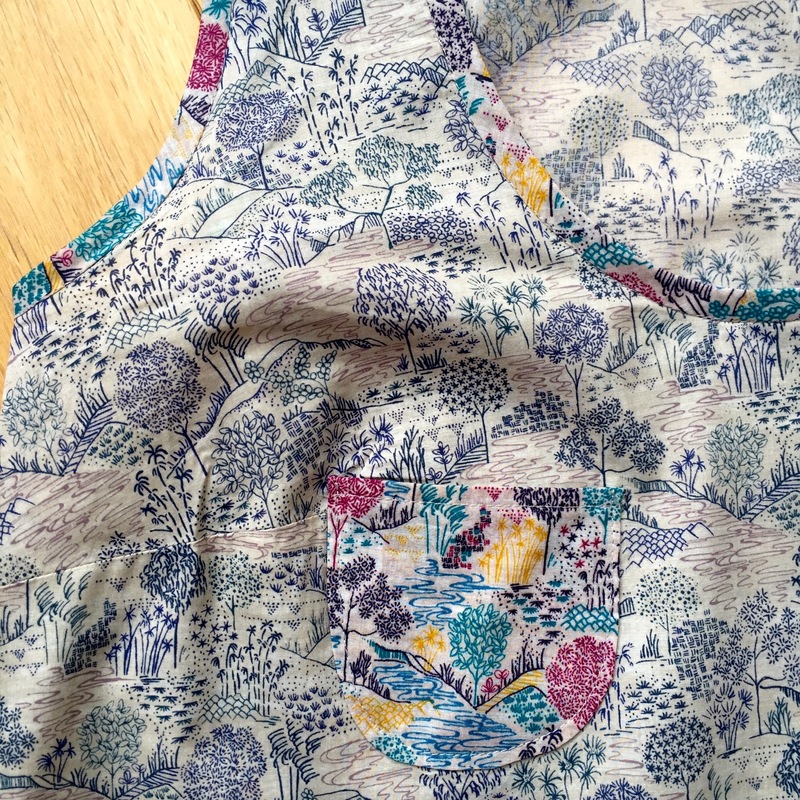 The Tiny Pocket Tank pattern from Grainline Studio had been in my collection for a couple of months and a rainy July day when I was in the mood for a new top in a day seemed like a good time to get it out. 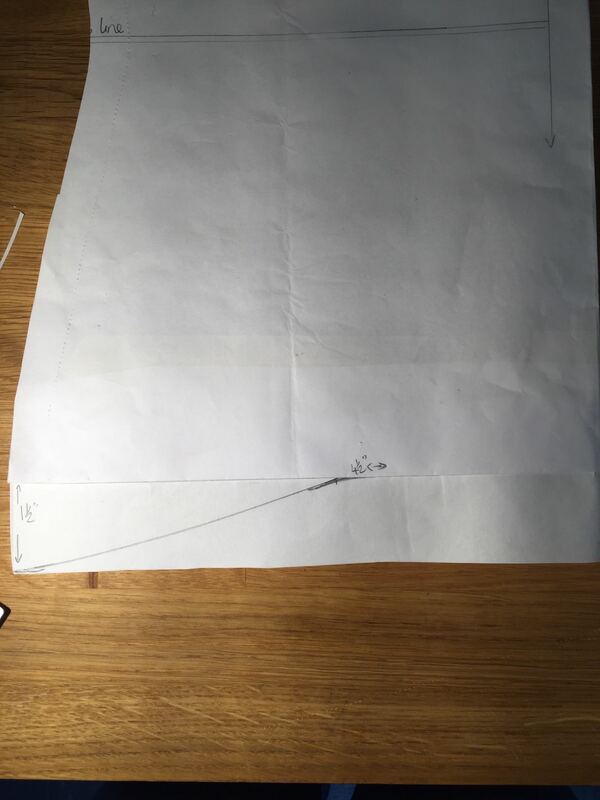 I traced the pattern pieces so I was working with the full piece rather than the half piece. I find it makes me use the fabric better with less waste. I didn’t bother with the neck and arm binding pieces so I could use bias binding all the way round. Without those you can make this top with the tiniest amount of material. 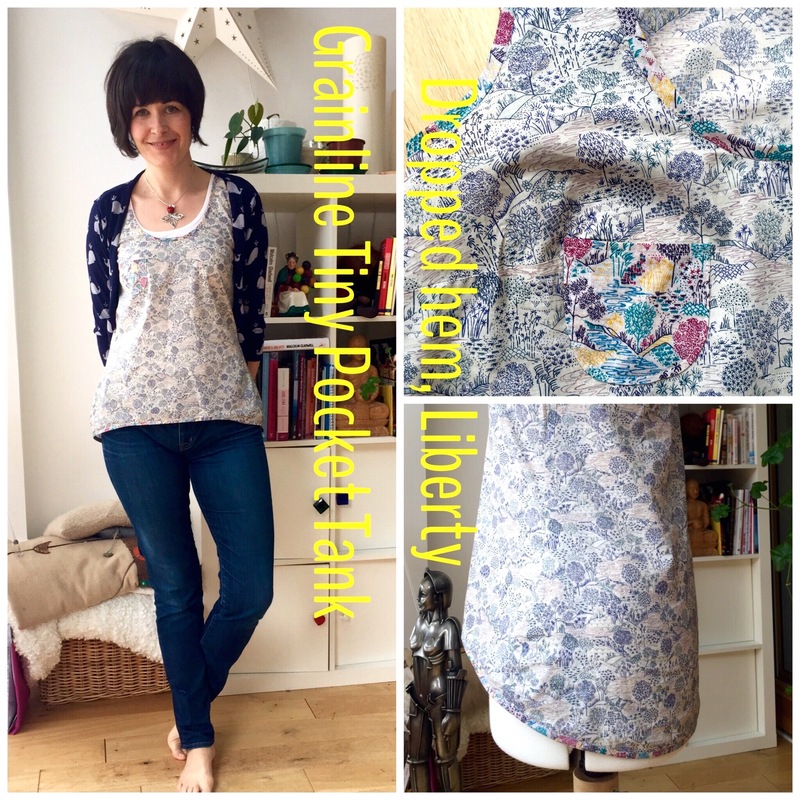 I’ve had a piece of the Liberty Tana Lawn I used to make the Colette Laurel dress in my stash for a while. I love this print but can’t remember what it’s called. 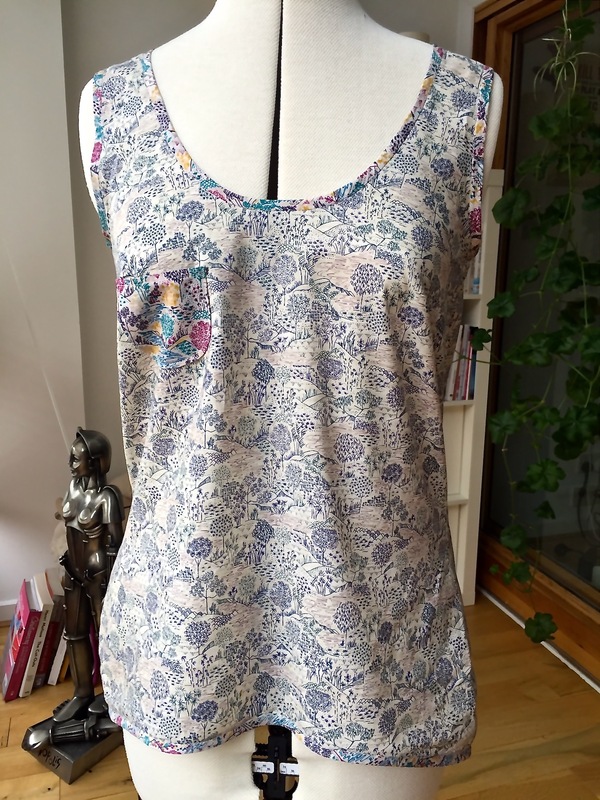 I loved it so much I bought a small piece to make the pocket and bias binding for my Japanese crepe Scout Tee, which also uses the Tiny Tank pocket, but in a different colour way. I had a little bit left- just enough for bias biding and the pocket. 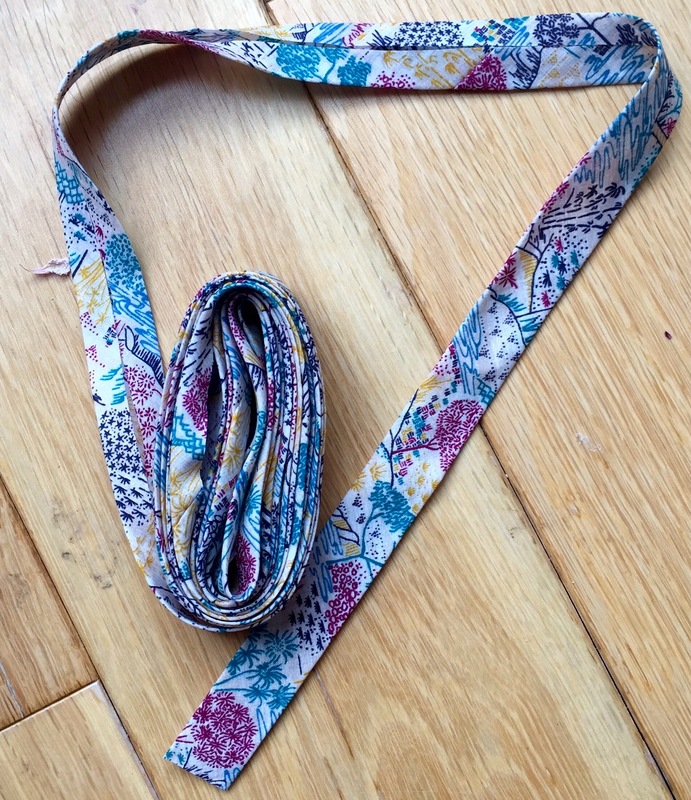 I made up two 35 cm squares into 1.5″ strips and then double fold tape. I have quite a lot left over for another time- added bonus. 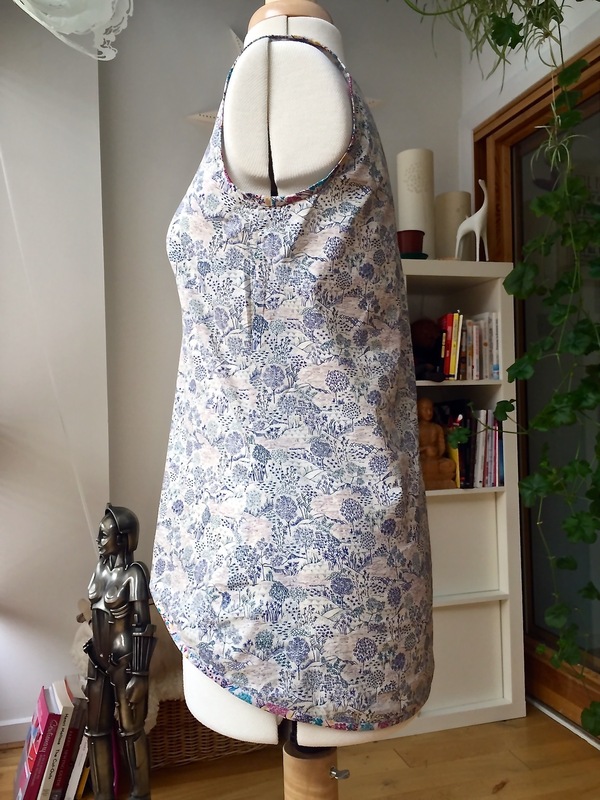 I cut a straight size 4 for this pattern and did put together a quick toile to check the fit and for neck gape- none for once! 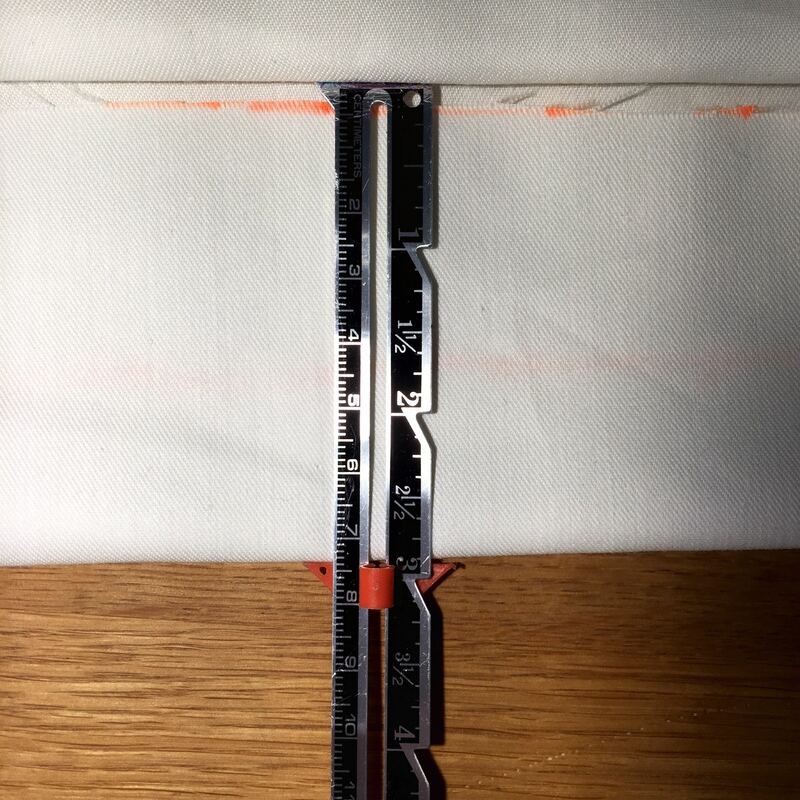 I added 4″ to the length of the tank at this stage so I could have a play with dropping the hem at the back. I shaped the side seams in at the waist and back out again a bit and worked out that I wanted a 3″ difference between the front hem and back hem. 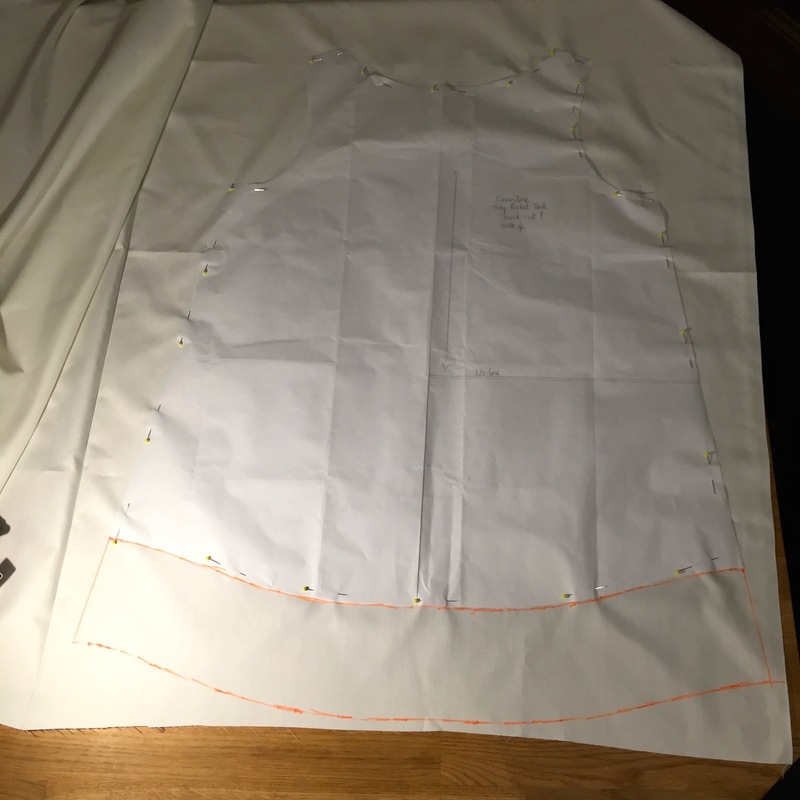 Then it was just a case of working out how wide I wanted the highest level across the front and using the French curve to draw a nice even line which dropped 1.5″ to the side seam then another line which dropped another 1.5″ to the lowest point at the centre back- easy! 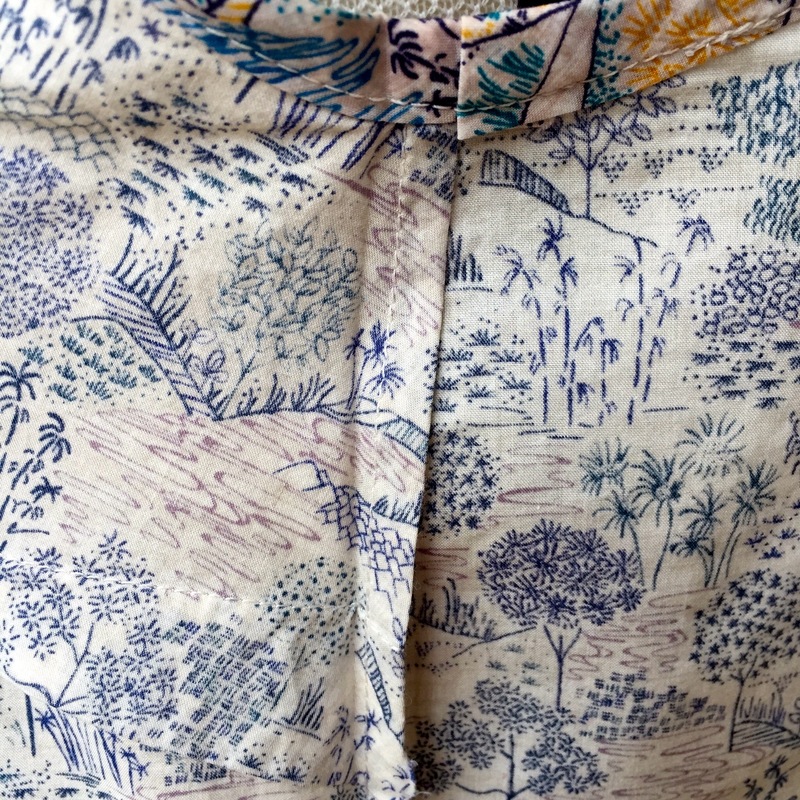 I didn’t have my overlocker to hand so used French seams on the small number of seams there are. I left sewing on the pocket till after I’d done the side seams and could try the top on. The pocket placement marks weren’t quite right after I played with the side seams so this way I could check it was straight and looked right. Last step was to add the bias binding at the neck, armscyes and bottom edge. Easy! The only thing I forgot to do was to remove seam allowances at the armscyes because I used bias binding instead so they are marginally tighter at the front than I would like but I can live with it. So here it is my Tiny Tank in Liberty two ways.